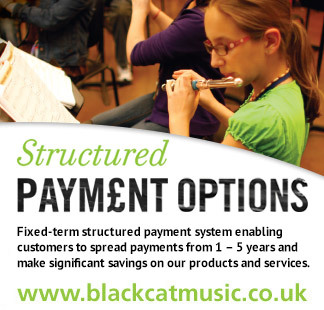 Black Cat Music has introduced a new fixed-term structured payment system which enables customers to spread payments from 1 – 5 years and make significant savings on our products and services. Purchase what you need as opposed to what you can afford. We use a government compliant operating lease which ensures that the purchase is within the government’s guidelines. VAT can be claimed back on all repayments. The tax applicable to a lease is 100% allowable. The Leasing system offered by Black Cat Music is supported by Reality Finance Solutions Ltd. Both a principal lender and an intermediary they have access to a panel of leading UK and international lenders and with their support we are able to provide a finance solution, which meets your budget.